Lift had a chance to speak with the chair of the government’s task force on the legalization and regulation of cannabis, the Honourable Anne A. McLellan, about the task force’s process and recommendations, as well as the harm reduction model of legalization Canada is taking on. 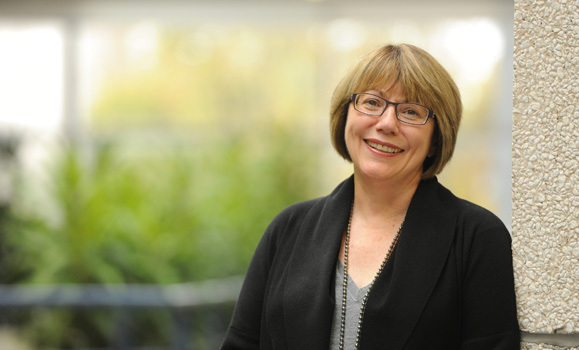 Among her many positions in government, McLellan has served as Minister of Justice (1997 to 2002) and Minister of Health (2002 to 2003), as well as Canada’s first Public Safety Minister (2003-2005), and as such, has a unique perspective on the government’s transition and evolution on the subject of managing cannabis. All three of these departments are tasked with addressing aspects of the government’s approach to legalization, and placing the only person with experience in all three of these ministries at the head of the task force can certainly aid in harmonizing this process. Our conversation highlights some of the challenges in harmonizing various stakeholder's expectations, from commercial producers to activists, law enforcement, public health officials and concerned parents. While prohibition has failed, says McLellan, its goals - removing control from organized crime and better controlling youth access - remain. At the same time, she points out that it’s ultimately up to parents to educate their kids, and the government needs to provide useful tools and accurate information so parents can protect their families as they see fit. McLellan recognizes the concern from many in the existing illicit industry, often referred to as craft or legacy producers, that they are being muscled out by a regulatory system that favours a ‘corporate’ environment. The task force recommends including these types of producers in a future legal system, but McLellan emphasizes that under a legal regime, they will still have to be licensed and regulated like all other food or drug producers. We touch on these and numerous other points below. Lift: Canada is shifting from managing cannabis use through a lense of criminal justice to a harm reduction approach. What are some of the key changes that come with this shift? McLellan: “One of the biggest changes, in my opinion… for lack of a better expression, is a cultural shift. I think it’s a psychological transformation in our thinking, moving from something that has been prohibited for as long as it has been. Cannabis has an interesting history in terms of its prohibition." “So moving from a world in which, whether you’re a parent, a school teacher, a law enforcement official, a government, moving from an inculcated cultural norm of prohibition, that this is something that is illegal, this is something for which we charge people criminally, and put them in jail… to a place where this product, in whatever form it takes, is legal and regulated. And it will be highly regulated. But, it moves from prohibition to legality and regulation. And I think that’s a pretty profound psychological transformation for society." Would it be fair to say the goal for the government with the legalization of cannabis is similar to the goals of prohibition, just different approaches to those goals? “I suppose so—acknowledging that the prohibitory model has not achieved the public policy goals that I think either government or civil society hoped for, and whether those goals were and still are limiting the involvement of organized crime, protecting minors, and other vulnerable populations, ensuring that people understand both benefits and risks, do the necessary surveillance and monitoring, do the necessary research of whatever kind, to get us to a place where we are achieving the public policy goals that have I think been probably in existence in one form or another for quite some time." What aspect of the task force recommendations were the most debated or contentious? “Medical. As we bore down on the main issues in the discussion paper, I think, there was no question that there was a lot of discussion and different points of view around whether with an adult user system you needed to maintain the medicinal cannabis regime. Certainly groups like the Canadian Medical Association and others felt quite strongly that you didn’t need to maintain that separate medical cannabis regime. We, of course, recommend that at least for the next five years it be maintained and then be thoroughly reviewed after five years of experience." “Personal cultivation. Certainly law enforcement and some others felt strongly there should not be what has euphemistically been referred to as home grow (we would prefer if people would refer to it as personal cultivation). We decided that there should be some room for personal cultivation; other jurisdictions that have legalized allow for some limited personal cultivation, for personal use only, not for resale, no diversion into any criminal or black market/grey market—so we made a recommendation around four plants 100cm high." “But that was contentious. [Many in] law enforcement would prefer no personal cultivation. You can’t lump all law enforcement together, but you can look at the submissions from law enforcement. That was pretty much the clear orientation on that issue." “Certainly from the licensed producers’ point of view, our recommendation as it relates to marketing, branding, sponsorship, celebrity endorsements, packaging, where we have adopted and recommend the adoption of the approach that has been taken with tobacco. Certainly licensed producers acknowledge the purpose of limitations, in terms of marketing and advertising, but they certainly would argue for the ability to differentiate by brand and so on. No surprise there. We knew that would be the case. It’s always been the case with tobacco." “But we think that we’re not in the business of promoting use, we're not in the business of promoting profit-driven businesses, commercialization, and this is not a benign product, in whatever form you choose to take it." “Much more research needs to be done, but there are risks involved, especially with smoked cannabis products, so we felt that, at least at the beginning, it was important to be cautious and acknowledge what we don’t know, especially on the health side, and limit the ability of companies to create a lifestyle culture the way some would argue they have been allowed to develop around alcohol." "Alcohol, we heard over and over again from public health experts, is a failed public health regime. Tobacco, even though they don’t say it out loud, they’re actually promoting a lifestyle choice, and the provinces and territories have become addicted to the revenues." You’ve used the term ‘go slow’ in the recent past in relation to cannabis legislation. What are some specific harms from going too fast on this ticket? “One is a system’s challenge in terms of making sure all three levels of government are working together, collaborating and getting whatever laws and regulations, training, public education campaigns. Ideally you want all of this to roll out with the three levels of government at the same time, everybody ready. That will take some time and coordination." The task force report refers to licensed producers as a potential source for a future recreational market. There has been significant concern from some that the legalization of cannabis in Canada is a ‘pro corporate’ approach that is leaving out Canada’s small ‘craft’ or ‘legacy’ growers. How can the government best provide an incentive for these growers/producers to transition to a legal market? “We do talk in the report about the fact that we would like to see a diversity of producers. Having said that, the Government of Canada will license all producers. You don’t get to sell any product in this country without meeting certain food and drug safety standards, municipal safety standards and permitting and so on." “If I go to the store and buy something off the shelf, I have the right to know what the contents are, any warnings about possible risks. I need to know that it was produced in a clean and sanitized environment where there’s random inspection by government at whatever level. That’s how our whole food and drug system works—the integrity of that system that permits you and I to go to the store and buy a product with confidence that we’re not going to poison ourselves or our children." “People have to have the same confidence in relation to this new, legal, regulated cannabis market. So there will be a regulatory regime. I’m not suggesting it’s going to be identical to all the standards and requirements that we see imposed presently on medicinal producers, but there will be a regulatory regime so that people can have confidence in terms of the standards of production and quality. Canadians need to be reassured that this is a true, regulated market of the kind they are familiar with in relation to other products." What does a successfully transitioned system from prohibition to legalization/regulation look like? Are tobacco and alcohol good analogies to use? “We do not see alcohol or tobacco as the perfect analogy. Alcohol, we heard over and over again from public health experts, is a failed public health regime. Tobacco, even though they don’t say it out loud, they’re actually promoting a lifestyle choice, and the provinces and territories have become addicted to the revenues." “So public health experts would say that neither of these regimes is one that we should adopt for cannabis. We can take aspects of each of them, but the cannabis plant is unique, cannabis products are unique, the potential physical and mental effects of cannabis are unique, and therefore we need a standalone, regulatory regime that speaks to the unique nature of cannabis." You’ve been associated with this ticket for a long time now, and you’ve seen the government’s position evolve from a very strict prohibition stance to a more progressive harm reduction approach. At the beginning of the conversation, you spoke of a psychological shift in public perception. How has your own perception of cannabis shifted over time? “I’ll be quite honest, when I was Minister of Health, I was very skeptical about the various medicinal claims that were being made. Because cannabis was an illegal substance, were people trying to game the system by claiming medicinal benefits? Any government has to be aware of those kinds of concerns and issues." “I think over the past 15, 16 years, even though we still need an awful lot of scientific and medical research, we need so many more clinical trials, I am happy to say, based on the experiential evidence we heard from patients, that there are important therapeutic benefits to cannabis in the various forms that patients choose to take it, in the doses they take it." “I’m not denying that the courts helped push the government there, but you just can’t ignore all this experiential evidence that you hear from people, about how they control their pain, how they control their nausea, how it helps with appetite, or listen to a mother who came to our patient roundtable in Toronto." How do you respond to the concerns of a parent who is hesitant to believe that legalization is a good thing to protect their kids? “I understand the concern, and any responsible parent would have those concerns. I would have those concerns with cannabis, with alcohol, with tobacco—any of those substances. Responsible parents live their lives every day with their children, with those concerns. You hope that first and foremost, as a parent in terms of the information you have, the ability for you, as parents to influence the choices your children make, understanding the risks and the benefits, the peer pressure. You hope that schools are provided with good public education materials so they can talk candidly to young people, through public education, peer-to-peer education, so that young people have the right information to talk about it among themselves." “You look as a parent and say that Canada has the highest use by young people in the world and ask ‘how did that happen?,' and realize that the system we’ve had, where we have a high rate of usage on the part of young people, all that product is illegal, bought in large part—not exclusively—but in large part from criminal organizations. They may be fronted by people who are not obviously criminals, but if you talk to the police, we know that the involvement of criminal organizations in the current market for cannabis is pervasive." “When you, as a parent look at all that, and you say ‘okay, my child is at risk now, and we’re not getting good information’. And yes young people experiment. And experimentation is okay as long as it’s done responsibly, you’re with a trusted group of friends, you know what you’re getting, it’s not cut with something, tainted." “Maybe parents buy a cannabis product of some sort and take it home and experiment …. Now I don’t want to make it sound as if I’m advocating that, but I remember when I was 12 or 13 at Christmas or Easter, my mother and father would let my sister and me have a little bit of wine or a little bit of champagne in a glass. And that probably helped us understand that if you’re going to use an alcoholic beverage, there are ways to do it responsibly." “And maybe, and I know for some parents this will be difficult, but maybe with your young people, under the age of 18 or 19, maybe you think about how do we help. We know our young people will be exposed to this discussion and many of their friends may use [cannabis]. How do we introduce our young people to this subject, and even to the product, to help them understand that, yes it’s legal, but what is really important here, as it is with everything, is responsible use." “And parents need to also tell their kids, that at the age of 18 or 19, that’s when you can purchase and consume alcohol—same thing with cannabis. It’s about talking to your kids, it’s about educating yourself and them about responsible use. Then, I think, as parents, you just have to trust that you brought up your kids right. Isn’t that true for everything in our lives?" I love how the government is approaching this. Id say one of the most diligent processes we have so far. Which is how everything should be approached, but isn't. Another thing I wanted to say is about GMO foods. Whilst for some reason our government thinks its ok to eat food that contains glyphosate and consider it safe, therefore not requiring all products that contain GMO foods to be labelled. Is this ok? Not in my opinion. So whilst we have to buy foods that say they Do Not have gmo, in them, its always a consumer aware system. Don't get me wrong. I love the approach on marijuana, because hopefully it'll be done right and get the respect it deserves. I just wish the government would do it for our food, as well. We've had the British study of cannabis in India back as early as 1894, then the Lagaurdia Commission sponsored by the mayor of New York, then the LeDain enquiry sponsored by the government of Canada, the Schaefer commission sponsored by president Richard Nixon, then the Ganja in Jamaica study sponsored by the US government. They all came to the same conclusion, cannabis is benign and the government need not criminalize it's use, criminal law is inappropriate in regards to cannabis. None of the Western governments have paid any head to the findings of any of the studies mentioned. In fact, they took the exact opposite approach and proceeded to reinforce prohibition, increasing penalties and dramatically increasing the number of arrests. I do not agree with Anne McClellan. Cannabis is benign, is not harmful to youth or anyone else, for that matter. Simply remove it from the Controlled Substances Act, that is all that is required. There was no regulation of cannabis before prohibition, it wasn't needed then and it is not needed now. Treat cannabis for what it is, a multiuse agricultural product whose true value is around $3/kilogram.